Sage 300 ERP Archives - SunTel Technologies inc. The following new features and improvements are available in Sage 300 classic screens. A new Notes button on the Sage 300 desktop toolbar lets you add and manage notes for customers,vendors, and inventory items. Optional fields are set up in Common Services and then added to each of the applications where you will use them. You create optional fields using the Optional Fields setup form in Common Services. You add the optional fields to the Optional Fields setup form in each application, then assign them to transactions. This notice is sent as a benefit of your Sage Business Care plan to let you know that Canadian Payroll Tax Update July 1, 2016 (7.2E) is available for Sage 300 Payroll. If you use Sage 300 EFT Direct Payroll, this update also adds a new Prenote Status field, which indicates the status of prenotes for your employees’ bank accounts. 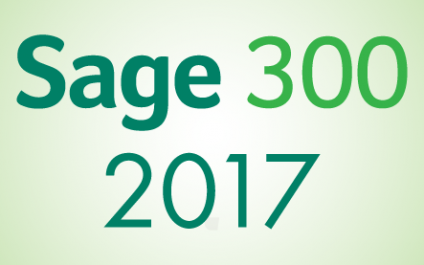 When Sage 300 2017 is released later this year, in accordance with our support policy, Sage will only be supporting Sage 300 and Sage 300c 2017, 2016 and 2014. We will no longer be providing support for Sage 300 2012. If you are on a version that will not be supported, we encourage you to contact your business partner or consultant to upgrade to one of the supported versions of the software.